Writers, we want your ‘false documents’! Overland is seeking fiction submissions for a special online edition themed around ‘false documents’ – that is, fiction disguised as or in the guise of ‘real’ textual artefacts – to be guest edited by Dave Drayton. These might include stories that take on the shape/form/language/appearance of prescriptions, shopping lists, report cards, instructional manuals, contracts, passive-aggressive post-its, users’ guides, guest books, curriculum vitae, transcripts, court summons, the side of a cereal box, emails, Wikipedia entries, etc. Stories like Mary R Gallagher’s ‘Have You Ever Been To Portland, Maine?’, which at first looks only like a floor-plan; stories like Ryan O’Neill’s ‘The Lists’. We are looking for stories that will reshape the way we interact with and read the daily bombardment of bumf, to better recognise its literary potential and potential beauty. 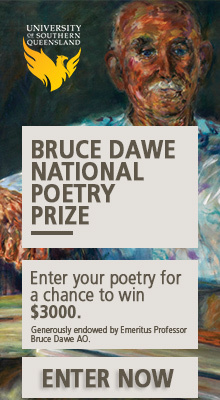 Submissions close 5.59pm, Monday 30 April. The special issue will be available online in early June. Dave Drayton is a poet, writer and Overland poetry reader He is a founding member of the Atterton Academy, Kanganoulipian, and the author of E, UIO, A: a feghoot (Container), P(oe)Ms (Rabbit), A Pet Per Ably-Faced Kid (Stale Objects dePress) and Haiturograms (Stale Objects dePress). Find him on Overland and Twitter.